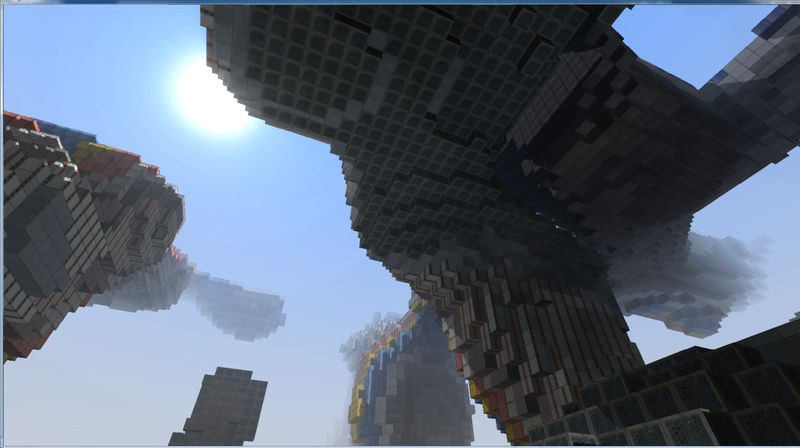 I wish I had more screenshots of this phase of development. I was doing a lot of experiments with the fractal terrain generator at this time, and I was still in Squad Miner mode so I was trying to come up with interesting procedural map generators and game rule-sets that would be fun (capture the flag, etc) in these worlds. The world was a limited size at this time, it wasn't until quite a bit later it became (virtually) infinite in all directions. 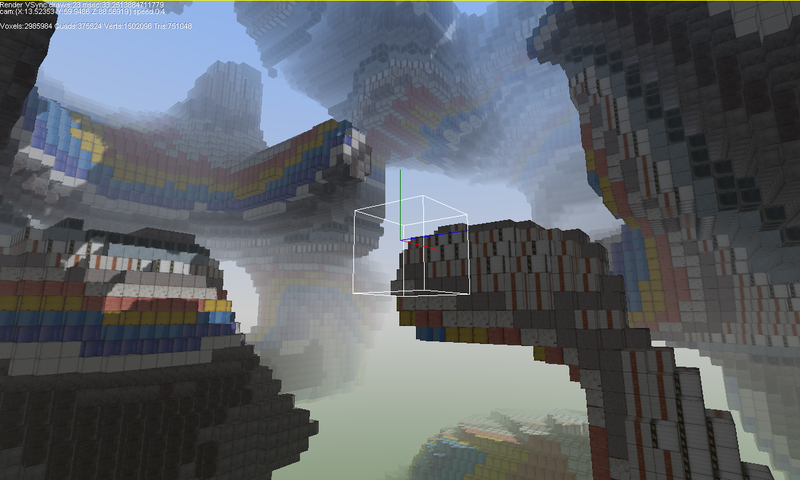 The textures on the voxels were all placeholders, I didn't really have much artwork to work with at the time. The biggest challenge came from the fact that suddenly fractal costs were exponentially more expensive because instead of a 2D height field controlling the world generation, the logic was fully 3D. This meant the CPU costs were literally the same as the 2D mode, except multiplied by each and every vertical row of blocks. This is when I began to realize what a deeply complicated and fascinating problem creating an unlimited voxel world was going to be.